B.C.’s electoral referendum has begun, giving British Columbians the opportunity to choose a stronger, more democratic system of electing government. Over the decades, I’ve run in nine Vancouver civic elections, winning five. But, as a long time voter, this latest election on October 20 was one to remember. The piece was originally posted on rabble.ca – November 2 2017. In 2015 Libby gave the Grace MacInnis Visiting Scholar Lecture at Simon Fraser University. The transcript was shared on the SFU Contours Journal – which you can read here. It is also reproduced below. Watch the video of Libby’s interview with Jackie Wong here. 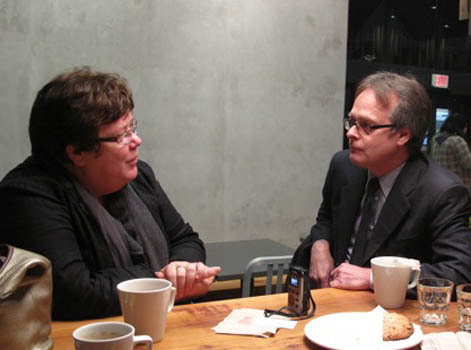 Libby Davies has a long and storied history working in East Vancouver politics and community organizing. Libby hosted a thank you party for East Vancouver supporters on November 29, 2015 at the Legion on Main Street. Listen in to Libby’s address from the evening here. Watch Watch Katrina Pacey’s speech here.